Love using natural products, but find them to be generally ineffective? That feeling will end the second you try out Yes to Carrots products. Made from natural organic fruits and veggies, these product really work, smell amazing, and are totally affordable. And now, Yes to Carrots is teaming up with celeb stylist Gretta Monahan! 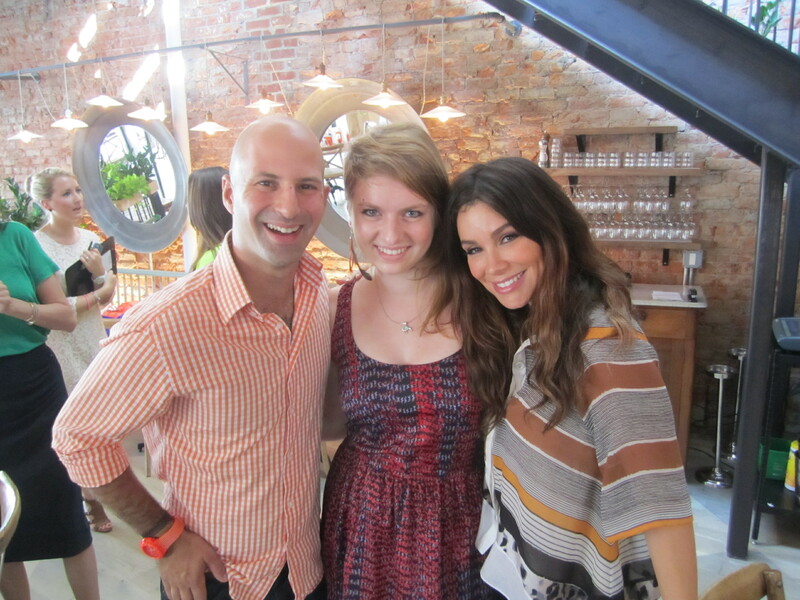 (That’s me with Yes To Carrots co-founder Ido Leffler and Gretta herself!) Check out our gallery of the Yes to brand’s newest launches (including the awesome new shampoo and conditioner line) and learn about how you can chat with Gretta! The Yes to line will have you covered whether you’re looking for natural skincare, hair care, or styling products. The most recent addition to the brand is the shampoo and conditioner line. Say Yes To Carrots for healthy scalp care, Yes To Cucumbers for color protection, and Yes To Blueberries for total hair rehab. The kicker? These salon-quality natural hair products are only $8, and you can find them at Target. Talk about a total score. Yes To Carrots! will be hosting a Twitter party on August 21 with stylista Gretta Monahan. You can tweet your questions to the brand (@yestocarrots) and Gretta (@grettamonahan) to get personal product recommendations and styling tips! The party’s on Tuesday at 4PM PST and 1PM EST (find out what this means for your time zone!) Join the Facebook event to remind yourself to participate, and let us know how it goes.